There's still time to get tickets to see retired Navy Adm. James Stavridis in tonight's Maverick Speakers Series event. Dr. Stavridis will present "Sailing the Cyber Sea: The New Realities of 21st Century Security" at 7:30 p.m. today, Tuesday, Nov. 4, at Texas Hall. An autograph signing follows the lecture. He is dean of the Fletcher School of Law and Diplomacy at Tufts University and served as head of the U.S. European Command and NATO's Supreme Allied Commander Europe for 2009-2013. His latest book, The Accidental Admiral: A Soldier Takes Command at NATO, debuted in October. Championship season: The women's cross country team and coach John Sauerhage show off the Sun Belt Conference championship trophy at the conference finals on Sunday in Mobile, Ala. 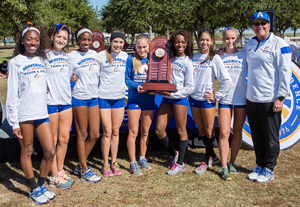 The women's cross country team claimed its first league title since 2001 and the program's fifth ever on Sunday at the 2014 Sun Belt Conference Championships. The men placed third after last year's SBC title. Katelyn Hayward, fifth overall, earned first-team All-SBC accolades. Gabriela Alfonzo, sixth, and Ashly Wright, eighth, received second-team honors, while Hannah Nilsson, 11th, earned third-team. For the men, Craig Lautenslager, third, and Eric Ojeda, fourth, made the All-SBC first team. Ryan Tilotta snagged sixth, and Michael Guerrero was eighth, with both named to the second team. The UTA teams head to the NCAA South Central Regional in Fayetteville, Ark., on Friday, Nov. 14. Read more about the cross country teams at the SBC championships. The Office for Students with Disabilities has been selected to be a part of the Craig H. Neilsen Foundation Scholarship for Students with Spinal Cord Injury program. The $131,000 in scholarships will provide tuition, fees, books, and supplies for four students with spinal cord injuries for the remainder of their undergraduate or graduate program beginning with the 2014-15 academic year. The Neilsen Foundation also established a $75,000 supplemental support fund to reduce barriers for Neilsen Scholars’ academic success. The supplemental fund will support needs related to the students’ spinal cord injury, such as caregiver services and adaptive equipment or assistive technology, and will subsidize other costs such as housing, childcare, and/or transportation. Read more about the Neilsen Foundation Scholarships. A dozen doctoral students in science, technology, engineering, and mathematics—also known as STEM fields—will receive free tuition and a $30,000 yearly stipend for two years thanks to a new National Science Foundation grant. The $974,250 in funding for the Bridge to the Doctorate Fellowships comes from the Louis Stokes Alliance for Minority Participation (LSAMP) program at the NSF. Read more about the Bridge to the Doctorate Fellowships. UT Arlington veterans will be honored on campus Tuesday, Nov. 11, for Veterans Day. Reveille begins the event at 7 a.m. in the courtyard of College Hall followed by a wreath-laying ceremony and acknowledgements of veteran graduates. A breakfast for UTA veterans is 8-9 a.m. in the Palo Duro Lounge of the E.H. Hereford University Center. A resource fair is 10 a.m.-1 p.m. in the same location. Cast your ballots today, Tuesday, Nov. 4, for Homecoming king and queen, Student Congress senators, and UTA Ambassadors. Polls are open 9 a.m.-6 p.m. in the University Center Gallery behind the Information Desk in the E.H. Hereford University Center. Students need to bring their UTA student ID to vote. 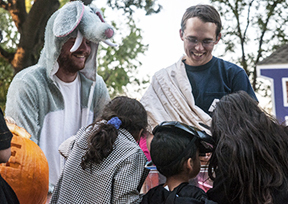 Shaye Henson, left, and Dakota Fox of Sigma Phi Epsilon fraternity handed out candy to trick-or-treaters along Greek Row for Halloween last Friday. The College of Science brings information and entertainment together for Science Week, Monday-Friday, Nov. 3-7. Events include lectures, presentations, research workshops, and a photo contest. Physician, entrepreneur, and alumnus Jivesh J. Sharma and Julian Hurdle, assistant professor of biology, discuss scientific innovations in the medical field from different perspectives at 7:30 p.m., Wednesday, Nov. 5, in the Rosebud Theatre of the E.H. Hereford University Center. Biology Assistant Professor John “Trey” Fondon discusses genetically modified organisms at noon-2 p.m., Thursday, Nov. 6, on the sixth floor parlor of the Central Library. Meant for a broad audience for all education levels and disciplines, the event includes lunch. See the Science Week schedule for more events. An information session about the Mediation and Dispute Resolution Certificate program is set for 7 p.m. Wednesday, Nov. 5, in Room E200F of the Continuing Education and Workforce Development Building. The study and use of alternative dispute resolution processes has increased in the past two decades. Courts, business owners, employers, HOAs, realtors, universities, and government agencies are using mediation to help improve working relationships, cut legal costs, and increase productivity. 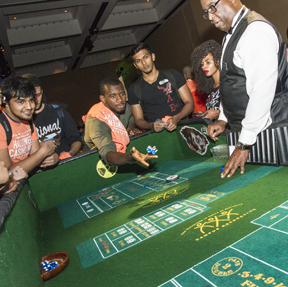 Students gambled on a good time last Thursday at Casino Night in the Bluebonnet Ballroom of the E.H. Hereford University Center. The event offered a pre-Halloween chance to dress in costumes and mingle. See more photos. Introduce potential and transfer students to UT Arlington by becoming a Maverick Orientation leader. Apply online by Wednesday, Nov. 5. Claim your spot in the Homecoming parade lineup. Register online by Wednesday Nov. 12, with an entry that shows your Maverick spirit. The parade starts at 5:45 p.m. Saturday, Nov. 22, on Spaniolo Drive outside College Park Center. Make plans to register for winter intersession and spring 2015 terms. The schedule of classes and the registration timetable are available on the MyMav portal page. Afternoon Variety Showcase A free show during lunch time. 11 a.m., Palo Duro Lounge, E.H. Hereford University Center. EXCEL Campus Activities. Tail-Waggin' Wednesday Relax with canine companions. Free. 10 a.m.-2 p.m., second floor, Central Library. UT Arlington Libraries. Salvation Army Angel Tree Kick-Off Adopt a child or senior from the Salvation Army Angel Tree to help families in need during the holidays. 11 a.m.-1 p.m., Palo Duro Lounge, E.H. Hereford University Center. "Angels" also available at the Leadership Center, Suite B160, University Center. UTA Volunteers. Faculty Tuba Recital A tuba recital featuring Ed Jones, adjunct professor of tuba. Free. 7:30 p.m., Irons Recital Hall, Fine Arts Building. Music. Global Grounds International Coffee Hour Enjoy free chai tea, refreshments, music, and networking with a Bollywood theme. Free. 4-5:30 p.m., Palo Duro Lounge, E.H. Hereford University Center. International Education, Multicultural Affairs, Asian Heritage Month. UTA Faculty Jazz Concert Jazz faculty members perform with saxophonist Glenn Kostur of the University of New Mexico. Free. 7:30 p.m., Rosebud Theatre, E.H. Hereford University Center. Music. Volleyball Mavericks vs. Arkansas-Little Rock. Tickets $3 with student ID. 6:30 p.m., College Park Center. Also, vs. South Alabama, Sunday, Nov. 9. Athletics. Friends of the Library Peter Szok highlights his new book Restaurantes, Rumba y Más: A Gringo’s Guide to Latino Fort Worth. RSVP by Wednesday, Nov. 5. Free. 7:30 p.m., sixth floor parlor, Central Library. UT Arlington Libraries, Friends of the Library. Friday Night Film: Guardians of the Galaxy Rated PG-13. Free fresh-popped popcorn while supplies last; other concessions for sale. Tickets $1, $1.50 with credit card. 8 p.m., Rosebud Theatre, E.H. Hereford University Center. EXCEL Campus Activities. Blood Drive Carter Blood Care will have mobile units on the Library and University Center malls. Through Thursday, Nov. 13. University Events. Holiday Extravaganza Attend the annual family-oriented holiday celebration with arts and crafts representing a variety of winter holidays, cookie decorating, and pictures with Santa. Free. 11 a.m.-1 p.m. Saturday, Nov. 15, Palo Duro Lounge, E.H. Hereford University Center. Freshmen Leaders on Campus. Women's and Gender Studies Lecture Whitney Peoples, post-doctoral fellow in Women's and Gender Studies, discusses research on the female contraceptive YAZ and its relationship to gender, race, sexuality, and the media. Free. Noon, Room 360, University Hall. Women's and Gender Studies. CAAS Power Hour Lecture Jamie Grant, president of JDG Wealth Management Group and chairman of Fort Worth Metropolitan Chamber of Commerce, will discuss how to go from employee to entrepreneur. Light refreshments. Free. Noon-1 p.m., Rio Grande Ballroom, E.H. Hereford University Center. Center for African American Studies. Faculty Research Incubator Seminar Series Elten Briggs, associate professor of marketing, presents "The Influence of Attribute Displacement Performance on Customer Evaluation of Service Experiences." Free. 2-3:30 p.m., Room 241; Business Building. Business. Biology Colloquium Thomas DeWitt of Texas A&M University presents "Predators Drive Replicated Phenotypic Evolution in Prey Fishes." Free. 4 p.m., Room 118, Life Science Building. Also, Aaron Bauer of Villanova University, Thursday, Nov. 13. Biology. First Friday at the University Advising Center Learn about resources, meet with advisers, and sign up for appointments. Free. 11 a.m.-2 p.m., Room 105, Ransom Hall. University College, University Advising Center. Chemistry and Biochemistry Speakers Series Yinsheng Wang of the University of California, Riverside, discusses “Quantitative Proteomics for Research in Cancer Biology and Environmental Toxicology.” 3 p.m., Room 114, Chemistry Research Building. Also, Yaron Paz of Technion-Israel Institute of Technology, Friday, Nov. 14. Chemistry and Biochemistry. Materials Science and Engineering Seminar Series Anton Malko of UT Dallas presents “Semiconductor Nanocrystals: From Quantum Phenomena to Applications in Energy Sustainability.” Free. 11 a.m.-12:30 p.m., Room 103, Engineering Research Building. Materials Science and Engineering. Engineering Speaker Series Michael Hay of the Nuclear Regulatory Commission presents "2011 Tsunami Impacts to the Fukushima Daiichi Nuclear Power Plant in Japan." Free. Noon-1 p.m. Room 100, Nedderman Hall. Engineering. Focus on Faculty: Anne Healy Anne Healy, assistant professor of theatre arts, discusses the Master of Fine Arts program in musical theatre. Free. Noon-1 p.m., sixth floor parlor, Central Library. UT Arlington Libraries. EMBA Info Session Experience a class session with current EMBA students and network with the class members, faculty, and EMBA alumni. Register online. Free. 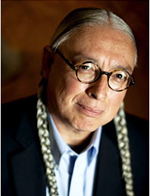 5 p.m. Friday, Nov. 14, The Fort Worth Club, 306 W. 7th St., Fort Worth. Fort Worth Center. Engineering Speaker Series Ali Erdemir of Argonne National Laboratory discusses "Facing the Hard Truth about Friction and Its Impact on Global Energy Consumption." Free. 6 p.m. Thursday, Nov. 20, Room 100, Nedderman Hall. Engineering. Madness move: Senior forward Greg Gainey displayed his dunking style at Maverick Madness last Tuesday at College Park Center. Fans got to meet the men's and women's teams and wheelchair teams as well as the coaches, spirit squads, and Blaze. See more photos. The volleyball team takes on the University of Arkansas-Little Rock at 6:30 p.m. Friday, Nov. 7, and South Alabama at noon Sunday, Nov. 9, at College Park Center. The team fell to Appalachian State in a road match last Sunday, snapping an eight-match winning streak. The loss followed a 3-2 win against Georgia State on Friday night. 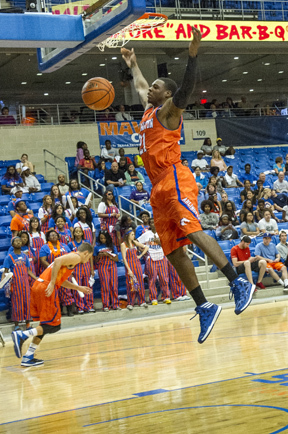 The loss puts UTA at 21-6 this season and 11-4 in Sun Belt play. Two-time World Series champion Hunter Pence is among the inductees in the 2015 Athletics Hall of Honor class. 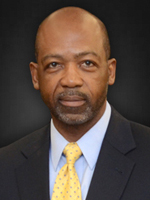 The ceremony is Jan. 30, 2015, in the Bluebonnet Ballroom of the E.H. Hereford University Center. Inductees are Pence (baseball), Elston Cawley (men's track and field), Valeria Whitfield (women's volleyball), Mike Stamps (football), and the 1996-2000 men's track and field teams. The evening begins with a cocktail reception at 6:30 p.m., followed by dinner and the induction ceremony. Individual tickets are $50 at utatickets.com. Purchase tickets by Jan. 21. The men's golf team's sophomore Zach Galliford tied for ninth at the 2014 Royal Oaks Intercollegiate in Dallas. The Mavericks finished eighth. The team competes at the Barona Collegiate Cup in San Diego starting Feb. 9, 2015. The men's and women's tennis teams wrapped up their fall seasons this past weekend by bringing home five titles and several more victories at two tournaments. The Maverick baseball team's Fall World Series opened Monday at Clay Gould Ballpark. The three-game series between the blue team coached by Troy Dean Conkle and the orange team coached by Fuller Smith continues with 3 p.m. games Wednesday, Nov. 5, and Friday, Nov. 7. The Fall World Series is free and open to all fans. Maverick basketball begins next week when the women's team plays Missouri Valley College at 5 p.m. Friday, Nov. 14, at College Park Center, and the men's team faces Bradley that evening in Peoria, Ill.
Outfielder Hunter Pence made it three straight years that a Maverick played for the World Series-winning team. The San Francisco Giants won Game 7 of the World Series 3-2 over the Kansas City Royals last week. Upcoming entry deadlines for intramural sports include poker, Monday, Nov. 17.